Our Latham Animal Hospital at 326 Troy Schenectady Road, Latham, NY 12110 is open extended hours on Saturday and Sunday until 6:00 pm to provide urgent care and emergency services when Drumm Veterinary Hospital is closed. 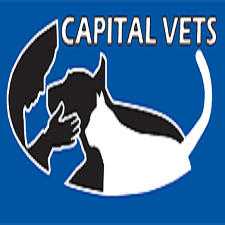 For overnight emergencies, contact (Latham area) Capital District Veterinary Referral Hospital at 222 Troy Schenectady Road, Latham, NY 12110 (518)785-1094 or Upstate Veterinary Specialities and Emergency at 152 Sparrowbush Road, Latham, NY 12110 (518) 783-3198. Other options for our southern clients include Animal Emergency Clinic of the Hudson Valley at 1112 Morton Blvd, Kingston, NY (845) 336-0713 or Animal Emergency Clinic of the Hudson Valley at 84 Patrick Lane, Poughkeepsie, NY (845) 471-8242.